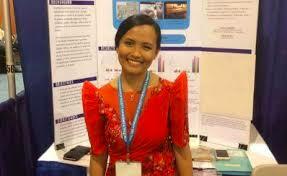 Arianwen Rollan, a Filipina high school student won at the 2016 International Science and Engineering Fair (ISEF) and was awarded by Qatar Foundation. Rollan, who hails from Cebu and attends the Cebu City National High School was cited for her research on the anti-tumor properties of malunggay (Molinga oleifera). The ISEF 2016 is a science fair for high school students and is organized by the Society for Science and the Public. "Intel sees the potential in aspiring young people who have an unquenchable curiosity in the things around them. We are proud that this curiosity resulted in Arianwen's research being recognized in this year's ISEF among other projects from young innovators around the world,” said Calum Chisholm, Intel Philippines country manager. "Intel congratulates this year's winners and hopes that their work will inspire other young innovators to apply their curiosity and ingenuity to today's global challenges," said Rosalind Hudnell, president of the Intel Foundation. ISEF 2016 was participated in by 1,700 young scientists from around the world and Rollan is among 8 participants from the Philippines. "We and Intel are optimistic that these aspiring scientists and engineers will be able to continue to pursue their passions, and we are dedicated to foster their creativity, curiosity, and ingenuity to contribute to the future," Chisholm said. ISEF 2016 gets its funding from Intel and the Intel Foundation and for this year approximately US$4 million was awarded to its winning participants.